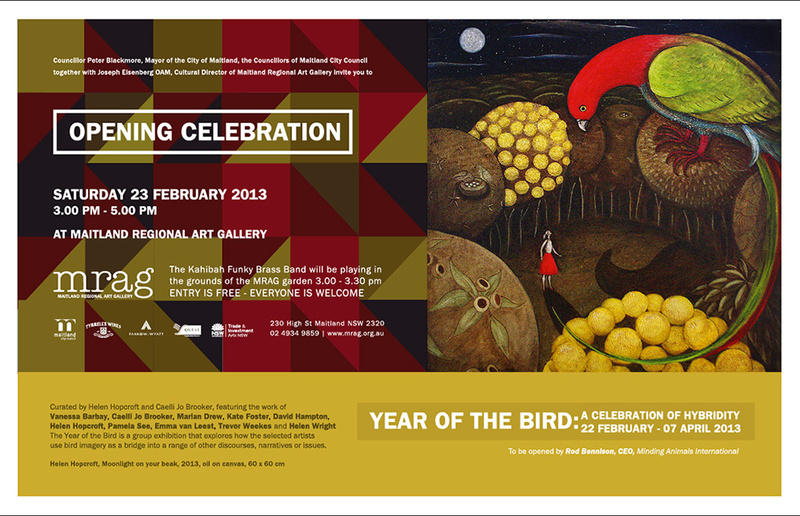 This weekend is the last chance to see the exhibition Year of the Bird at Maitland Regional Gallery, New South Wales which Kate Foster and I submitted joint work emerging from Fashioning Feathers to. Curated by Helen Hopcroft and Caelli Jo Brooker, the exhibition Year of the Bird features art work by Vanessa Barbray, Caelli Jo Brooker, Marian Drew, Kate Foster, David Hampton, Helen Hopcroft, Pamela See, Emma van Leest, Trevor Weekes and Helen Wright. Dr Rod Bennison, CEO of Minding Animals International, will be opened the Year of the Bird exhibition on Saturday 23rd February, 2013.